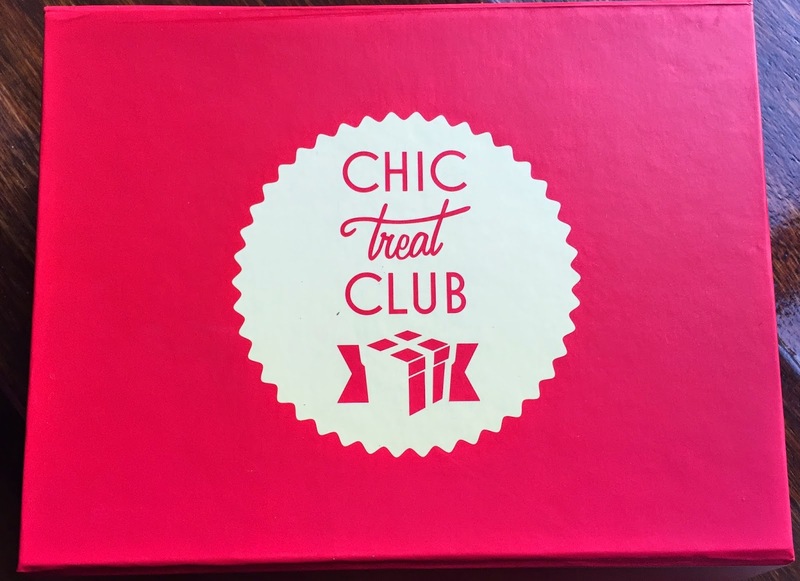 I was very excited for my first Christmas Chic Treat Club box. Honestly, I was very underwhelmed by last month's box so I was looking forward to a little Chic Treat reset. 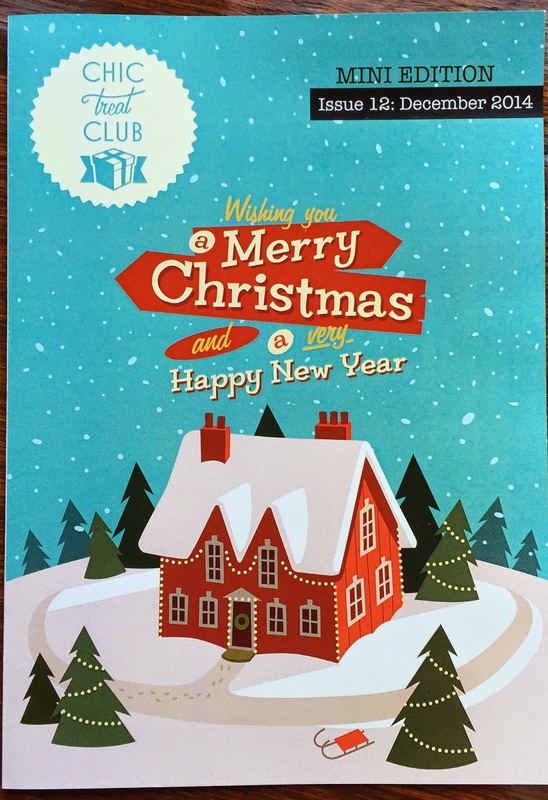 I was a little worried when I realised that I was going to be in Cork and not in work for the delivery of my Christmas Chic Treat Box but a little email to the Chic Treat Crew and all was sorted in a jiffy! I have to say, the customer service is absolutely top notch and incredibly responsive. This month's box was a departure from the usual lemon and instead we were treated to a bright red, festive box with red wrinkle paper instead of the usual pink. The Chic Muse was also suitably festive. 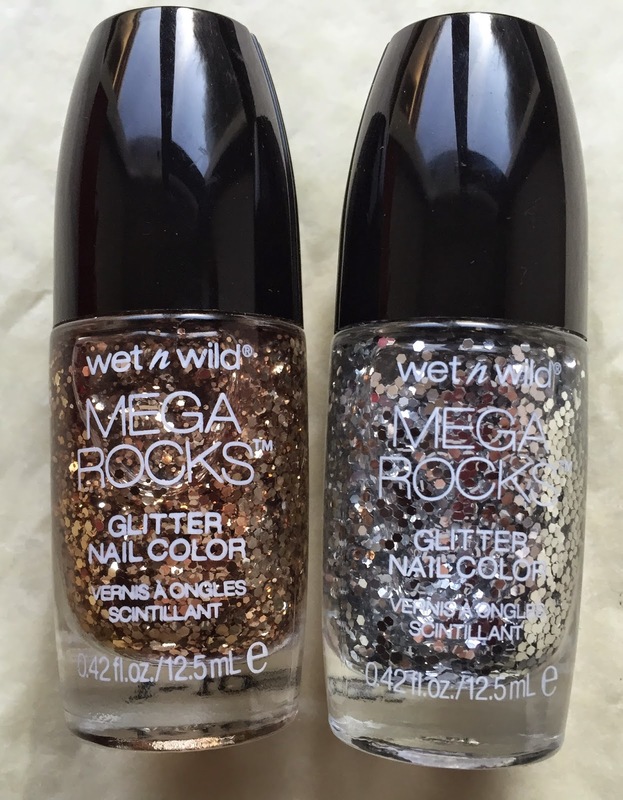 Wet n' Wild MegaRocks Glitter Polishes, RRP €3.99 each. Two of these were included in this month's Chic Treat box. 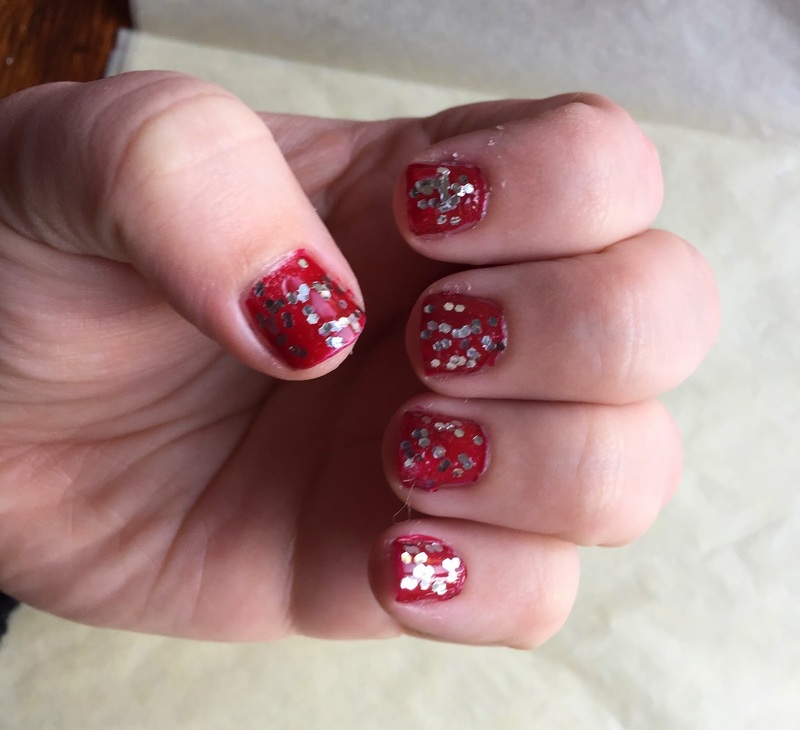 Now I LOVE Wet n Wild as a brand and I generally LOVE Wet n Wild polishes, especially the Mega Last polishes, but I am not a glitter nail polish kind of gal...usually. However, these arrived in the nick of time just before the big man in red called so I applied the silver coat over my Tanya Burr polish in Riding Hood on Christmas eve and it's still lasting chip free four days later. I haven't contemplated taking it off yet but for the glittery payoff and lasting power, I definitely give these the thumbs up. That said, I'm sure once the Christmas season passes, these will be relegated back to my nail polish collection to gather dust until next December again. 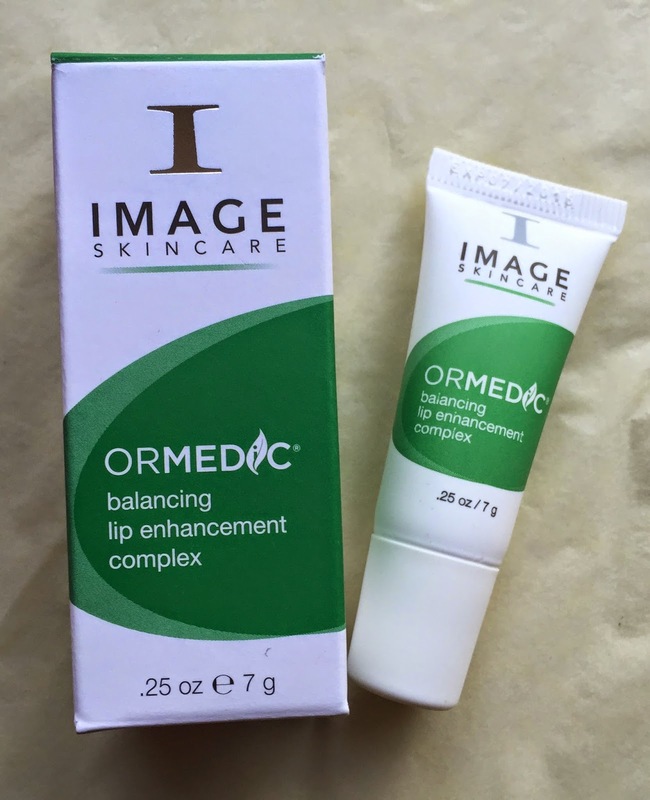 Image Skincare Ormedic Balancing Lip Enhancement Complex RRP €23.00 This is the most exciting product in this month's box in my opinion, and the very reason I subscribe to boxes like these. Image Skincare is a well known and well respected brand and I know I would never in a million years blind buy this myself but it sounds interesting. The Chic Muse tells me that it has been specifically designed to enhance the appearance and volume of lip contours- which is music to my ears since a disastrous experience with a cold sore patch last June left my bottom lip contour a little blurred. If this is the cure and improves the appearance, I will be delirah. It also says that it is ultra hydrating with a powerful polypeptide complex which will add up to 40% extra moisture and volume which is also music to my ears because in this frost, my lips will be in bits. Very very excited to use this! Thalgo Super Lift Toner (full size €29.00, 50ml sample worth €5.80). Thalgo is a brand that I had never tried before subscribing to Chic Treat Club and I certainly have never tried this toner. 50 ml is a decent sample size and I am a divil for skipping toner so this might incentivise me not to skip toner for the foreseeable. It smells nice and is rich in Vitamin A and gently exfoliating citric acid, I hope I will notice a difference from using it. Physician's Formula Shimmer Strips Kohl Kajal Eyeliner , RRP €16.90 for three, individually €5.63. 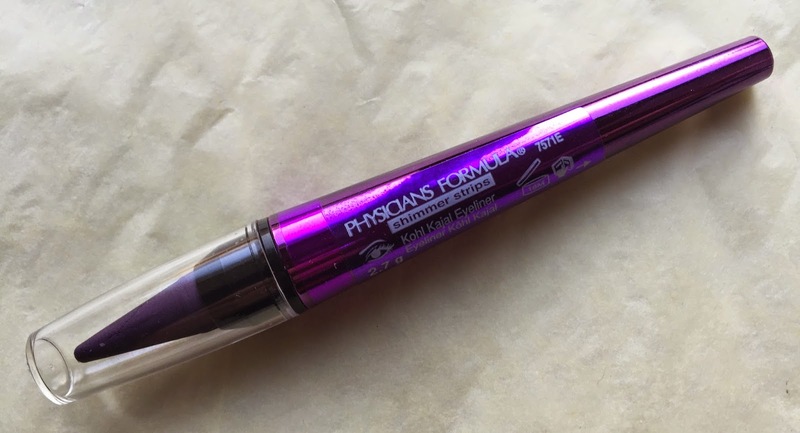 Physician's Formula is another favourite of mine and I have about 6 of these shimmer strip kohl kajals already and I love them all to bits. They are smooth and easy to apply, pigmented, they last incredibly well, the colour range is nice, I think I already have this one but I certainly don't mind having another. 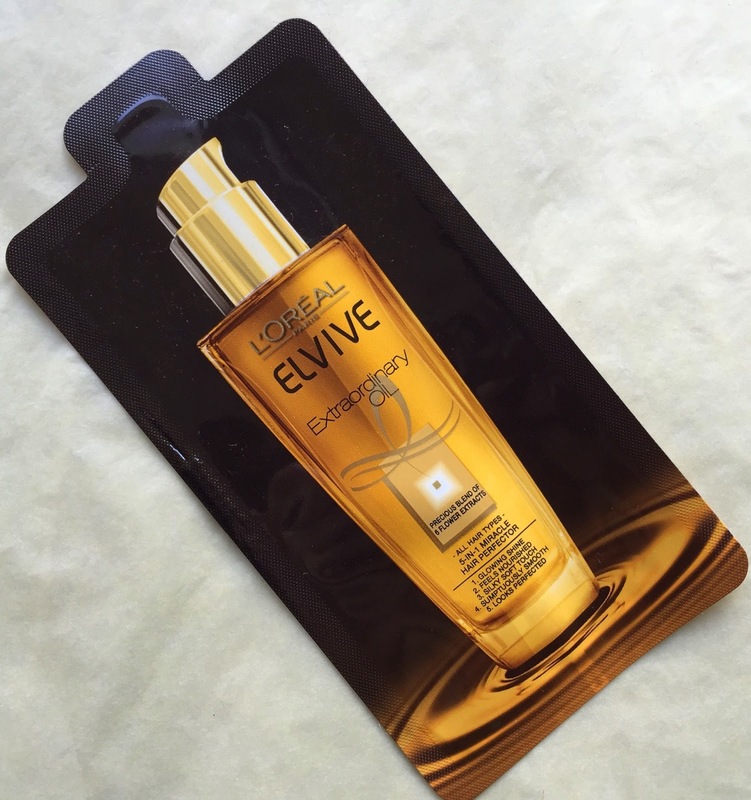 Elvive Extraordinary Oil (3.5ml sachet) This is just a little extra thrown in- not sure if I'll ever use it but as it's only an extra, I'm not going to give out about it! Overall, I much prefer this month's box to last month's Chic Treat collab because the products inside are more appealing. The box has a total combined value of €42. What do you think of this month's chic treats? I agree that I prefer this one much more than November. 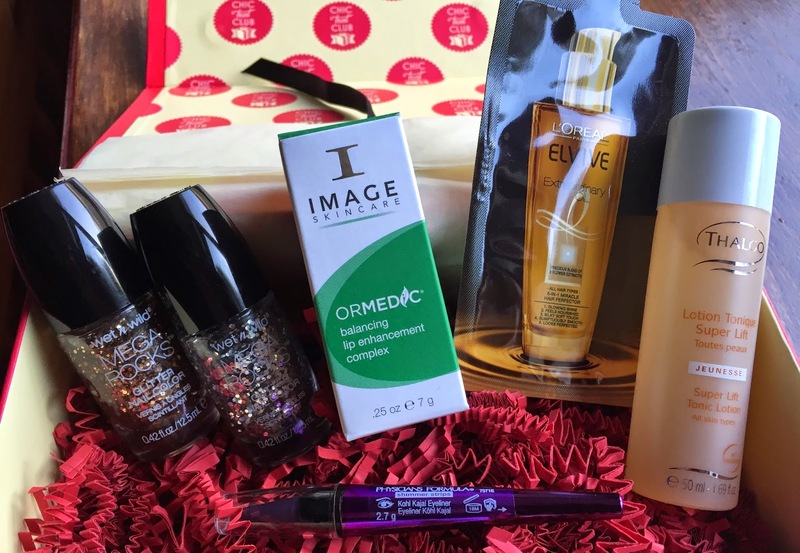 There wasn't much in the Nov box that I'd actually use and gave most of it to my sister. I would give all the stuff in this month's box a go though.